The illustrious Hilliard Ensemble ends its decades-long tenure with ECM, and with the world of performance, in a program of 15th-century English carols and motets for two, three, and four voices. 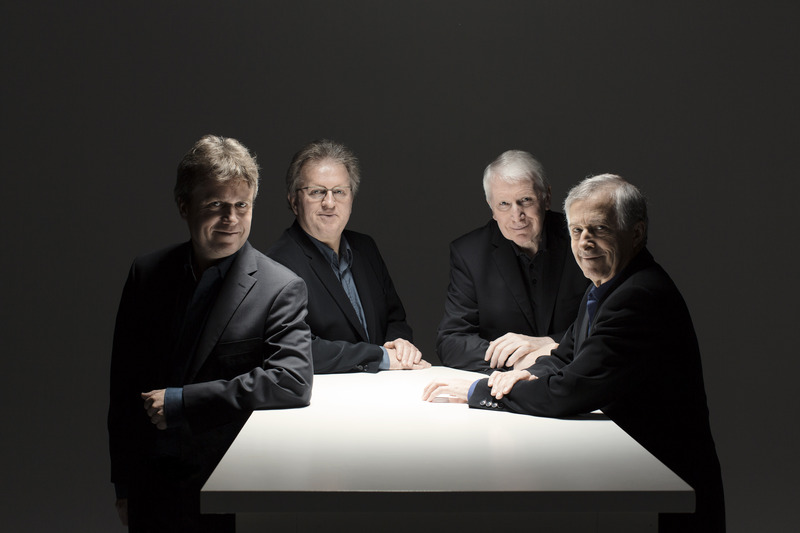 Since debuting on the label with 1989’s Perotin, countertenor David James, tenors Rogers Covey-Crump and John Potter, and baritone Gordon Jones have enchanted with their peerless blend of timbres, equal interest in contemporary and early music, and scholarly sheen. In 1998 Steven Harrold filled the venerable shoes of Potter, who would go on to strengthen his leadership of the Dowland Project (see, for example, Night Sessions) and pursue alluringly off-the-map endeavors such as Being Dufay. Harrold joined ECM’s venerable ranks in a traversal of motets by Guillaume de Machaut, one of many landmark recordings by the newly minted ensemble. Whereas other vocal groups might have bowed out with a flourish, the Hilliards have chosen a contemplative return to roots, drawing from a repertoire ingrained in their individual beings long before becoming a part of their collective one. Many of the composers whose work is represented herein are anonymous, yet their music, notes David James in his affectionate liner note, is anything but. Included among the sélections sans auteur is some of the Hilliards’ most incisive singing on disc, which illuminates the verily bookended pages of “Clangat tuba” in purest gold and imbues “Lullay, I saw” with baby’s-breath. Also remarkable are the more intimate combinations, especially those pairing James with one or both of the tenors. The Codex Speciálník has long been one of my most beloved Hilliard albums, in large part because of its occasional duets, and Transeamus may just share that position for its own. “There is no rose,” one of the program’s three carols, is one such instance of skeletal beauty. John Plummer (1410-1483) is one of four known composers represented. His “Anna mater” is an astonishing creation. Through watery sustains, over which the higher voices bend like willow branches, it reveals a consummate approach between image and reflection. The “Stella Caeli” by Walter Lambe (1450/51-a.1499) threads one of the program’s most angelic looms with a continually changing color scheme. “Ave Maria, Mater Dei” by William Cornysh (c.1468-1523) is as lovely as it is luminescent, and is all the more moving for Gordon Jones’s spinal tap. Lastly, Sheryngham’s “Ah, gentle Jesu” secures the Hilliard Ensemble legacy with a piece of such descriptive power that it turns the immaterial into a tangible piece of faithful proportion, if not also proportional faith. Like the windows of Propstei St. Gerold, the Austrian monastery where so much of their brilliance was captured for posterity, these unrivaled singers allow light to shine both ways. 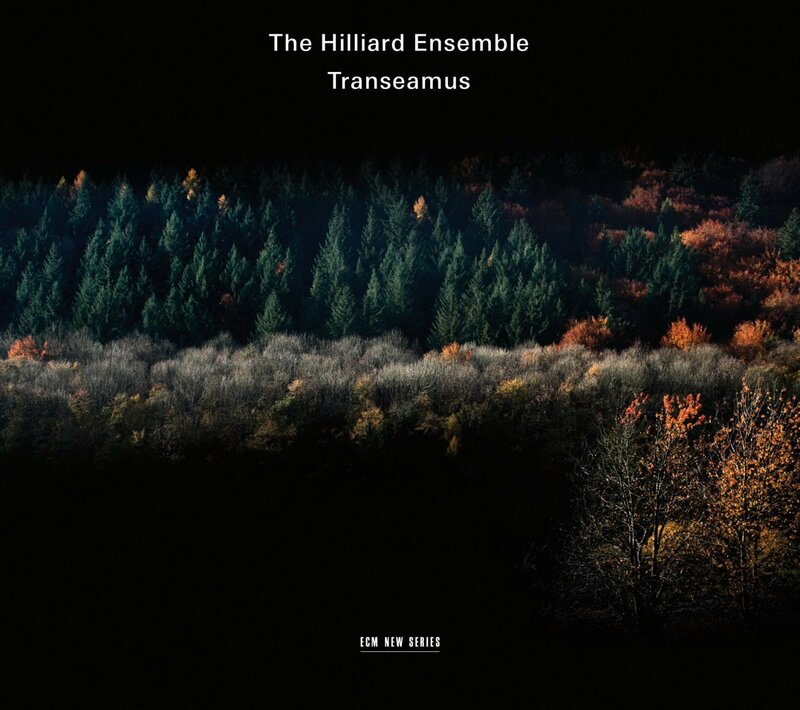 This album’s title may be Latin for “we travel on,” but we the listeners can be sure that just as much of the Hilliards will be left behind in our hearts as they will carry forward in their own.